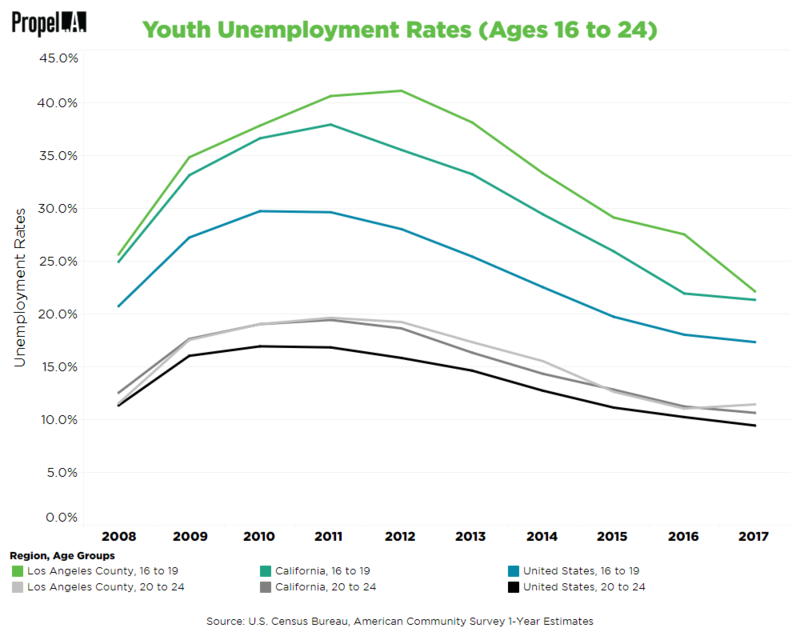 Public High School Dropout Rates | Propel L.A.
High school dropout rates have fallen every year since 2014 across Los Angeles Unified School District, Los Angeles County, and California as a whole. 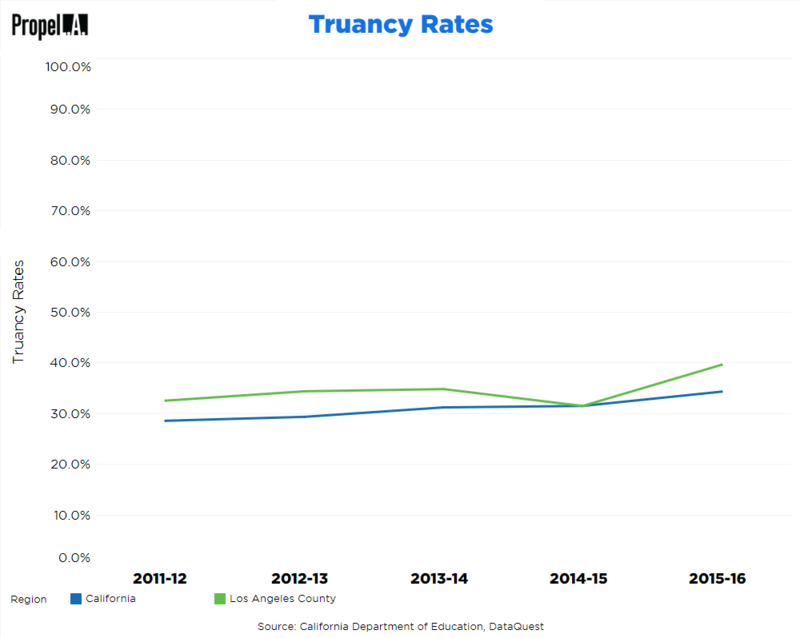 Although the Los Angeles Unified School District has the highest dropout rate in absolute terms, the District has shown a significant improvement trend when compared the rest of the County and State. Propel L.A. uses the four-year cohort dropout rate in which the CA Department of Education began recording in the 2009-10 academic year. Propel L.A. calculated the values for the class of 2017.